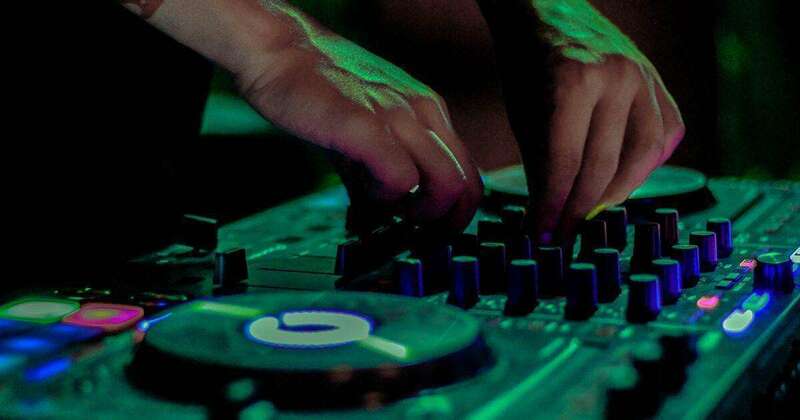 Are you looking to experiment with becoming a DJ? These affordable budget DJ controllers are a great entry point without breaking the bank. They also include enough features to keep you busy and work your way up to becoming a professional performer. The budget DJ controllers might lack the sturdy construction of professional gear, but the gap is decreasing. Before choosing a DJ controller, you should also know they each run their own preferential piece of software like Rekordbox, Serato and Traktor. There’s no best software, choose one that works for you. 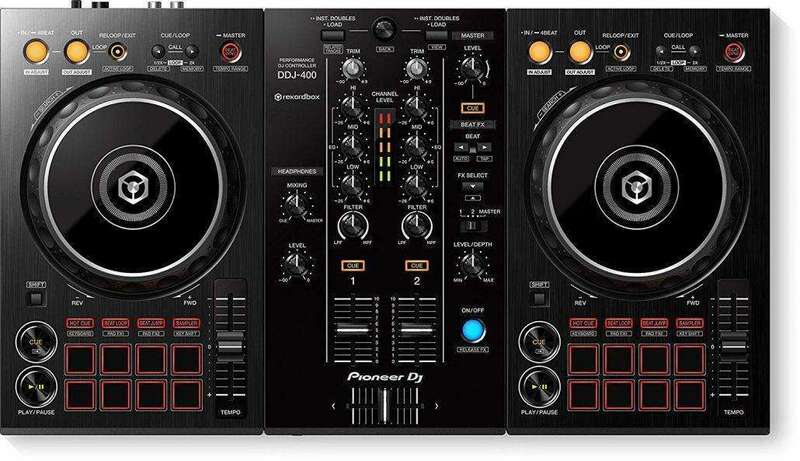 In June 2018 Pioneer launched the DDJ-400, the successor to the popular DDJ-RB controller (which is also worth checking out). 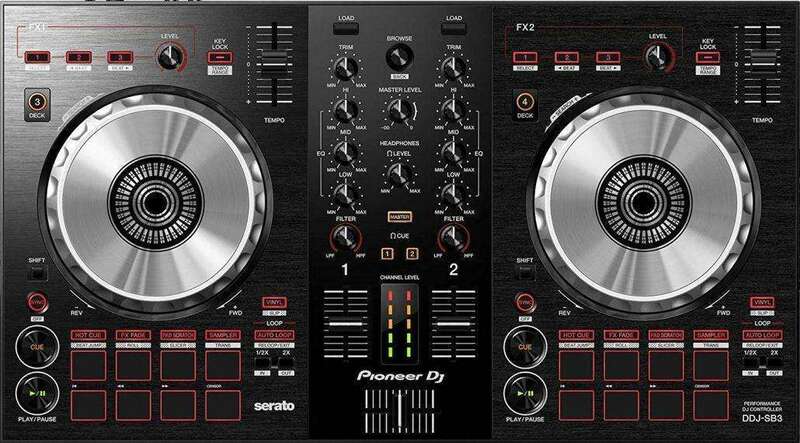 The controller features a similar layout to what you might find on club gear like the CDJ 2000 NXS and DJM mixer. The obvious downfalls of the DDJ-RB have been corrected, like longer pitch faders for more accurate tempo matching, as well as the ability to blend the headphone mix between the master output and the headphone cue. It includes a license key for Rekordbox, which is $129 alone (and the same as Pioneer CDJs). There’s the familiar beat FX with a large on/off blue button, filters, CDJ-style looping, and more. 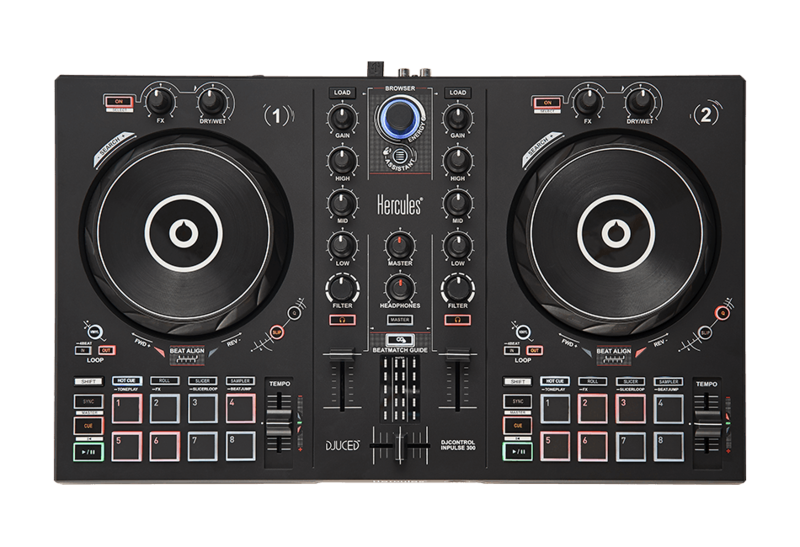 This Inpulse 300 DJ Controller from Hercules is the cheapest on the list, making it affordable to learn how to mix without investing too much. The help of exclusive features from the DJControl Inpulse 300 and its DJUCED software: light guides on the controller to learn the right moves, the Intelligent Music Assistant (IMA) to help you pick the best songs to play, the energy feature to manage the party mood, and the DJ Academy with its onboard video tutorials. It’s compatible with Virtual DJ too. The Numark Mixtrack Platinum is based on the popular Mixtrack Pro 3 and is a spacious 4-deck DJ controller that has long-throw pitch controls, cool touch strips and LED display screens in the metal jog wheels, which is usually only found in higher end DJ controllers and a unique feature at this price point. The DDJ-SB3 is the successor to the popular DDJ-SB2 and is a budget Serato controller with a premium feel. The jog-wheels are reminiscent of Pioneer CDJs. It also It features 8 performance pads, a separated loop selection, scratch function. However, the controller lacks particular features like limited FX controls and no master output level metering. The refreshed S2 Mk3 was released in September 2018 and is a welcomed update from the Mk2 from 5 years ago. The new design matches its bigger brother, Kontrol S4. This model is geared towards being mobile friendly, with a lighter weight, smaller footprint, and even has iOS compatibility. 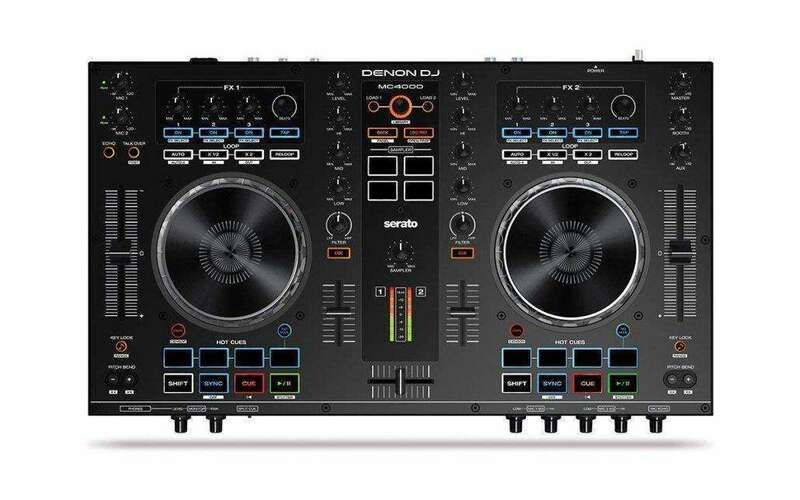 Denon have been doing a fantastic job at stirring things up in the DJ market to try and dethrone Pioneer. Although the MC4000 is 3 years old it is feature-rich and practical. This is a fantastic controller for Serato software, although be prepared to shell out a bit extra for the full version. While Roland are largely unknown for DJ equipment they have a long history in musical instruments such as pianos, synthesisers and drum machines. 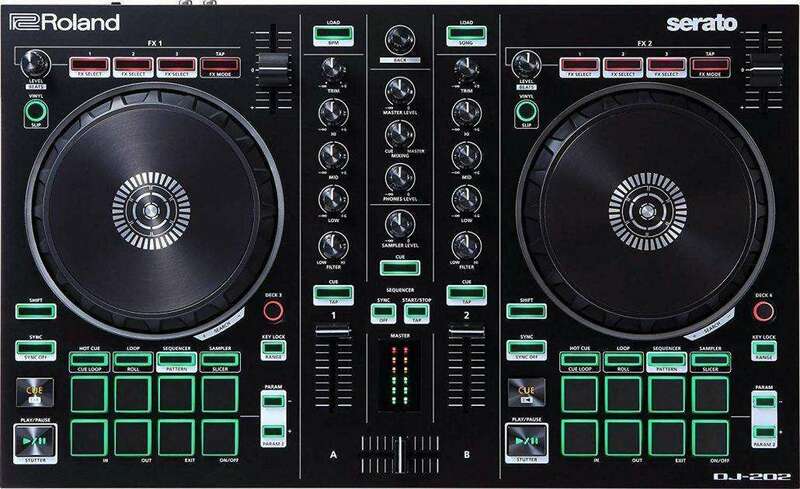 In 2017 they launched the DJ202, an affordable controller with a an interesting bunch of unique features and a green-on-black look. This controller has built-in drum kits from Roland’s legendary TR-909, TR-808, TR-707, and TR-606, realized with advanced ACB (Analog Circuit Behavior) technology. The DJ controllers above are fantastic pieces of kit and perfect for beginner DJs. Even with these controllers you will be able to perform at events like a professional. Make sure that you choose a DJ controller and software that you’re comfortable with. Everyone has their own preference. Thinking of becoming a music producer instead? Check out our guides on the Best DAW Software and Building a PC for Music Production.